I’m an avid Instagrammer and so are you. But did you know about Instagramers Manila? It’s a community of Filipino Instagram’ers from all over the world that tell stories through photos every 9PM on Instagram. If you’ve seen the hashtags #IGersManila #9pmhabit — that’s it. They’ve been meeting regularly during Instameets but it’s only now that the group is having its own Photo Exhibit sponsored by Globe. It’s a photo exhibit of Instagram snapshots taken during their photo walk sessions at the Bonifacio Global City, Luneta Park, Manila Bay, and Intramuros. I’m a member of this group albeit not active on Instagram but I’m proud to support their activities. 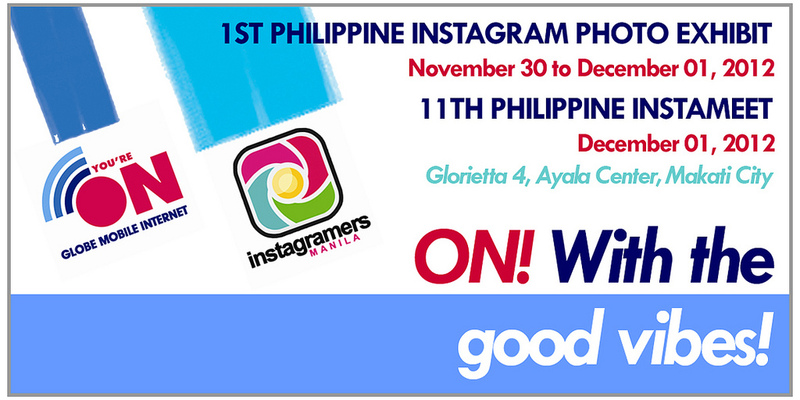 This November 30 until December 1, the first ever Philippine Instagram Photo Exhibit will be held at Glorietta 4, Ayala Center in Makati City. See you there!